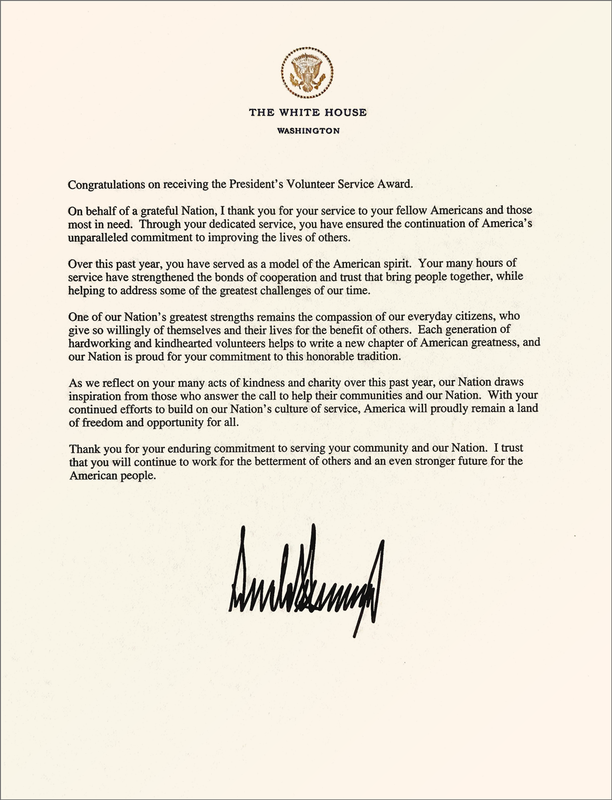 Created by the President’s Council on Service and Civic Participation in 2003, the Presidential Volunteer Service Awards (PVSA) program is "a way to thank and honor Americans who, by their demonstrated commitment and example, inspire others to engage in volunteer service." 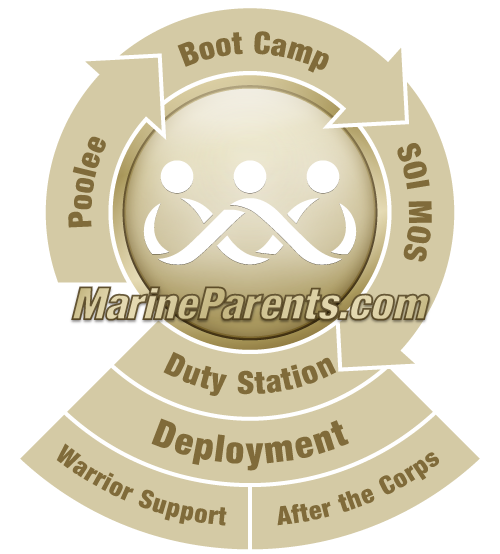 Many MarineParents.com volunteers are recipients of this award for 2017. In 2017, Marine Parents had 61 volunteers qualify for the Bronze Level PVSA, 27 volunteers qualify for the Silver Level PVSA, and 31 volunteers qualify for the Gold Level PVSA. 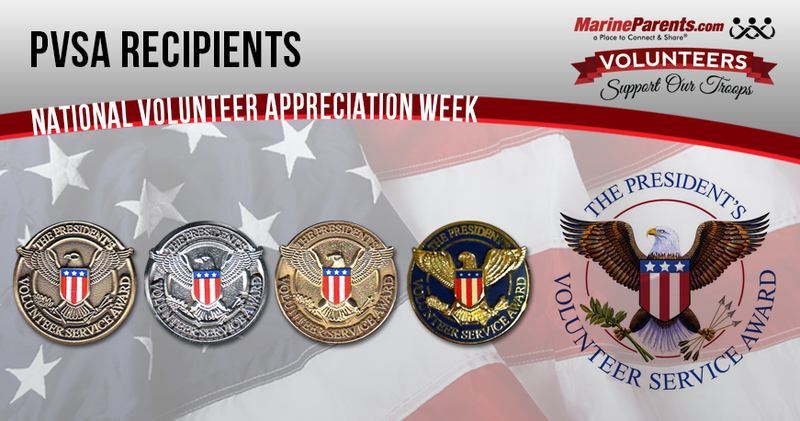 Below is a list of these dedicated volunteers. To learn more about PVSA, click here.